In its Sunday editorial about city fire and EMS service for the villages, the Journal Times chose to focus on the loss of revenue for the City of Racine. It is surprising that the editors chose to focus only on the revenue side of the equation without also investigating and presenting the expense side, as it would have provided a much clearer rationale as to our decision making process. Aside from the financial aspect, which is meaningful, it is also, and foremost, an issue of fairness. This administration's first concern is, always, care for its citizens. In this case, balancing the needs of the city taxpayers who foot the majority of the bill for fire/EMS service against the income generated by lending out the services to the villages, the decision is a clear one, in both finances and fairness. First, as far as finances go, a review of actual expenses the city assumes in serving the villages may help to give a more complete picture as to our proposed agreements with them. The cost for training, equipment, wages, and benefits for the Racine Fire Department is more than $15M a year. Including a portion of the cost for dispatch services from the County, the total exceeds $16M annually. Operational costs such as these do not rise and fall based on the number of calls for service, so whether the villages represent 2% or 20% of the calls, the costs remain constant and are primarily the burden of the city. In addition to the annual operating cost, there is the cost of capital equipment, which was not included in calculating the payment from the villages. For example, the City will purchase a new Quint, a particular type of fire truck, in 2016 at a cost of more than $750,000. City taxpayers will pay for this over the next 15 years through bond payments. Then, there is the fairness issue. 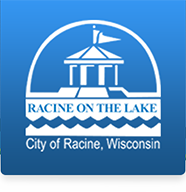 Under the current agreement, City of Racine residents are paying almost three times the amount that residents in villages are contributing to pay for those services. The proposal offered to the villages sought to reduce that differential by 50% over the five year term. City residents should not be subsidizing services to the villages; the villages can afford to pay their fair share. Making sure Racine residents have responsive and reliable fire and rescue services when they need them is a basic function of the city. A possible missed call to a Racine residence when a rig responds to a village call is unfair, and potentially tragic. Call volumes in the city have been rising every year as our population ages, so our first responsibility is to ensure quality service to city residents. We all hope that we will never need service from the fire department, but we want them to be available when we call. City of Racine residents contribute their fair share, through their property taxes, to ensure that they will be served if the need arises. The JT editorial was correct on one point. The city did miss the boat on this issue, but it happened 15 years ago when the agreements had been first established. Using today's differential and looking back, the city has subsidized the village's fire and EMS service over the last 15 years at a cost of more than $10M. Applying the same philosophy as outlined in their editorial to their own business, the JT should be offering subscription services to the village residents at one third of the current subscription rate.